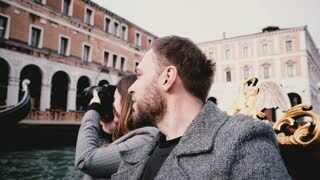 Close-up shot of happy smiling young European newlyweds in gondola enjoying Venice canal tour excursion on honeymoon. 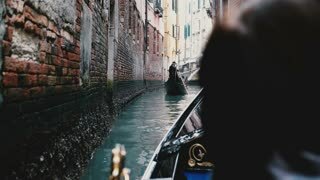 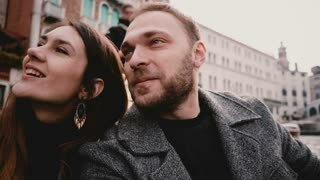 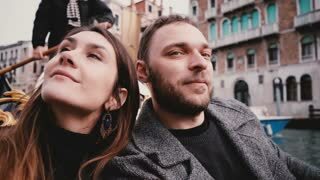 Close-up shot of happy smiling young European romantic couple in gondola enjoying Venice canal tour excursion in Italy. 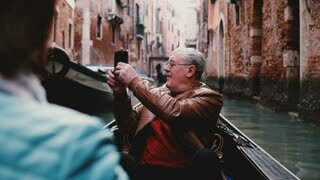 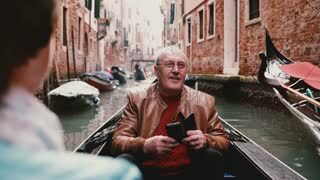 Excited senior European male traveler in gondola smiling, looking around on beautiful Venice canal tour excursion trip.